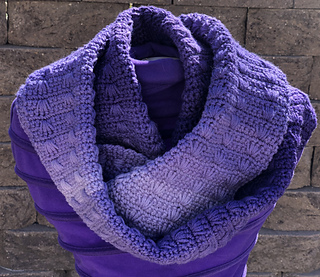 The only difficult thing about this pattern will be deciding which you love more: the simplicity of the texture stitches, or how easy it is to create them! 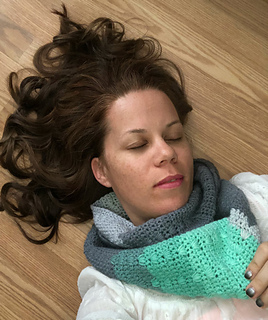 This scarf is available for you to create in two unique and beautiful styles: Colorblock (with wide stripes) or Narrow Stripes to get some color into your wardrobe. Create either one - or both! 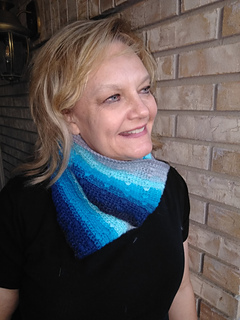 - with this incredibly easy scarf pattern. 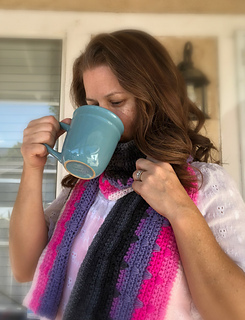 Instructions included for creating any size scarf you like. 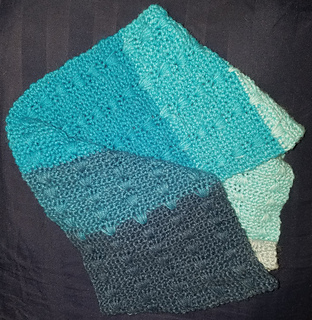 You’ll need 1 cake of any Mandala or Cupcake yarn, and I had about 90 yards leftover.